Photo from Hiranya Malwatta on Flickr. How desperate for your morning caffeine would you have to be in order to try drinking coffee found in animal excrement? In short: ask the Indonesians, who would then blame the Dutch. In 1696, the Dutch governor of Malabar (southern India) sent Arabica seedlings to the governor of Batavia (modern-day Jakarta), who was also Dutch. Fifteen years later, the Dutch East India Company was exporting Indonesian-grown coffee to Europe, and by 1725, the company had a monopoly on the coffee trade, which now consisted of over 60 tons of beans per year. As one might expect, the company made a large amount of money. However, the situation was less rosy for the Indonesian farmers, who (quite literally) saw little fruit for their labor. For the forty years of Cultuurstelsel, colonialists grew Arabica coffee on large plantations as a cash crop while refusing to allow native farmers and workers to pick coffee berries for their own use. 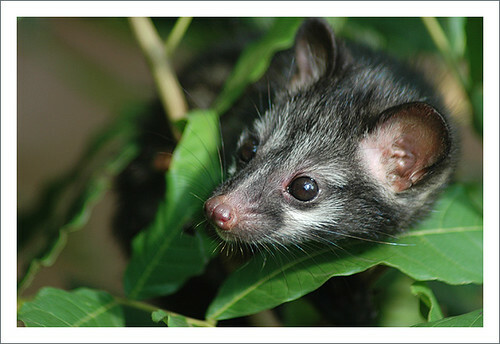 As often happens when someone tells you that you can't have something, the farmers' desire for coffee grew, and one day they discovered that undigested beans could be found in the droppings of the Asian palm civet, or luwak. It takes something special to move from discovering undigested coffee beans in excrement to deciding to clean, roast, grind, and brew a pot from the stuff, but apparently the farmers were crazy enough to think that this was a good idea. The resulting coffee was unexpectedly delicious - so delicious, in fact, that the Dutch plantation owners who brought about the insanity to begin with also started drinking the concoction. It even became their most prized coffee. (One wonders how long it took the farmers to tell their bosses the origins of their new favorite beverage.) As soon as the Dutch developed a taste for the brew, prices were high - though to be fair, the rarity, complexity, and repugnant nature of the process ensured that it would never be cheap. Japanese soldiers, who occupied Indonesia during World War II, were the next lovers of Kopi Luwak, though the drink nearly disappeared in the late 1950s. It's only recently that the coffee has gained attention in the US, Europe, and East Asia. So is Kopi Luwak worth $30 a cup (or, for the most expensive version, Vietnamese weasel coffee made from the droppings of wild civets, $1363 a pound)? I haven't tried the beans myself, but apparently the resulting drink is quite smooth, with strong hints of chocolate. Enzymes in the civets' stomachs break down the coffee's proteins and, while there, the beans begin to germinate, both processes that result in less bitterness than ordinary brews. And yes, according to research from the University of Guelph, civet poop coffee is quite safe - it has a lower bacterial count than ordinary coffee. You sure do learn something new every day, never in my wildest imagination I ever thought a coffee could be harvested in this method but it seems the natives were driven at the point where all they wanted was a good cup of coffee. $30 seems to be worth to test it out however $1363 sounds a bit too steep for coffee in my opinion. Agreed. Though the $1363/pound stuff that was given to Vietnam's VIP guests would make 32 cups of coffee - more expensive per cup than the brew served in American cafes. I had heard of civet poop coffee, but did not know any of the details until now. Thanks for filling me in. Y'know, I would actually be willing to pay $30 for a cup - just once - I think. I hope you will join in again soon! Loved the final comment from the cultivator... Can't say I blame him! Yes i am totally agreed with you that civet coffee is the most expensive coffee in the World. But the truth is behind that the taste of this amazing coffee is beyond of imagination. I just love it. Thanks for the nice post. i had this type of coffee and all i can say that it is very good but you need to be carefull when you prepare it and to be sure that you capture all the flavours. Yes i am completely concurred with you that civet espresso is the most costly espresso in the World. In any case, the fact of the matter is behind that the essence of this stunning espresso is past of creative energy. I simply adore it. Much obliged for the decent post.